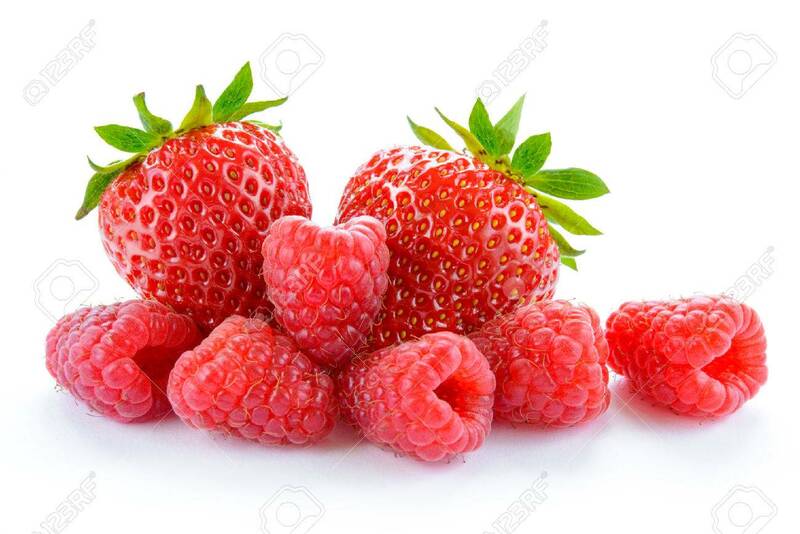 Heap Of Sweet Strawberries And Juicy Raspberries Isolated On The White Background. Summer Healthy Food Concept Banco De Imagens Royalty Free, Ilustrações, Imagens E Banco De Imagens.. Image 41696351.